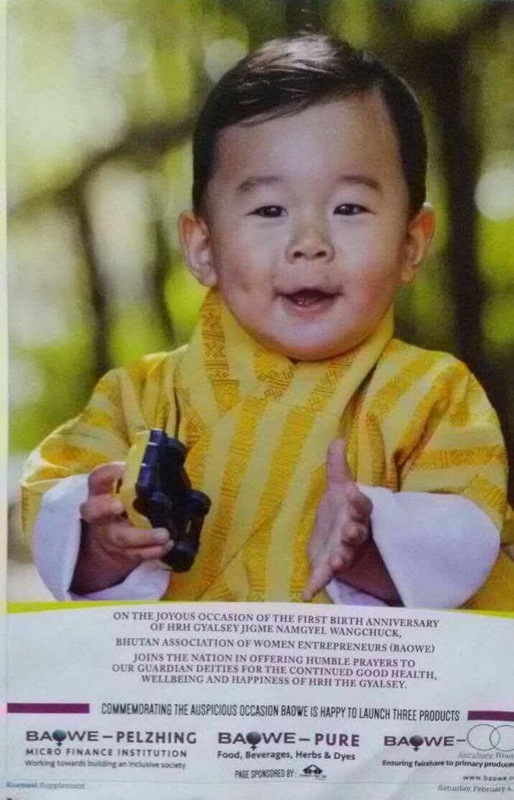 On 5th February 2017 BAOWE_Pelzhing was launched commemorating His Royal Highness, Gyalsey Jigme Namgyel Wangchuck’s First Birth Anniversary. It is envisioned that BAOWE’s members in time will progress into full fledged entrepreneurs with the capacity to join the mainstream economy. However, handholding may still be required for sometime albeit in less proportions. These progressive women will grow out of being Self Help Group (SHG) members into independent entrepreneurs requiring conducive environments to grow in strength and gain confidence. BAOWE_Pelzhing, a micro finance institution licensed by RMA( Financial Service Act ,2011)has been conceptualized to provide a conducive platform encouraging progressive RORUM members to grow their businesses. In a unique module, BAOWE builds free of cost infrastructure providing skills development and the formation of marketing linkages between rural primary producers and Entrepreneurs .Thereby building dedicated and loyal clients base. This ‘Hub & Spoke’ method creates a consistent and sustainable raw material supply chain ensuring inclusive and sustainable economy development (Refer Fountain Effect). Poverty is the mismatch between opportunity and potential. BAOWE_Pelzing aims to bridge the gap between the banked and unbanked clients in Bhutan. The USP of BAOWE_Pelzing is its ability to keep operational costs low through aligning with member RORUM Credit Cooperative visible through the country thereby creating inexpensive banking outlets. BAOWE since its inception has successfully commissioned numerous projects, creating livelihood opportunities in Urban and Rural Bhutan. BAOWE is currently engaged in the process of identifying and developing projects in a staggered manner across rural Bhutan, promoting entrepreneurship while building its client base. BAOWE_Pelzhing will focus and prioritize its vision to not be solely driven by profit maximization and ambitious financial targets, but it will impact people’s lives positively. As a bank, our aim is not to provide charity but provide ethical banking services to our members and clients. Improved living standards for its members. Economic and social empowerment of women. Promote Entrepreneurial culture in rural areas.